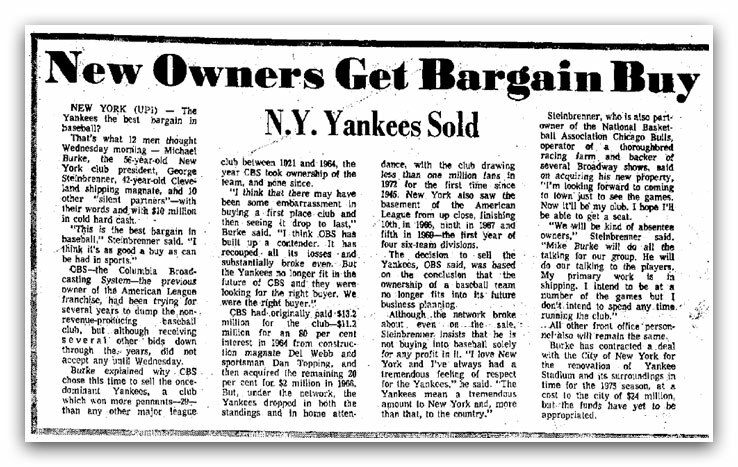 In 1973 George Steinbrenner paid $8.7 million for the New York Yankee’s a team that’s currently worth over $4 billion and in second place. Usually, when sports teams trade they are often for eye-popping prices which seem hard to justify at the time, yet years later the purchasers always seem to be vindicated. 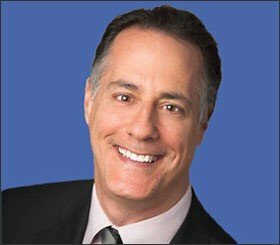 Sometimes, however, when corporations want to divest businesses they can be very motivated sellers and offer astute buyers very compelling bargains. 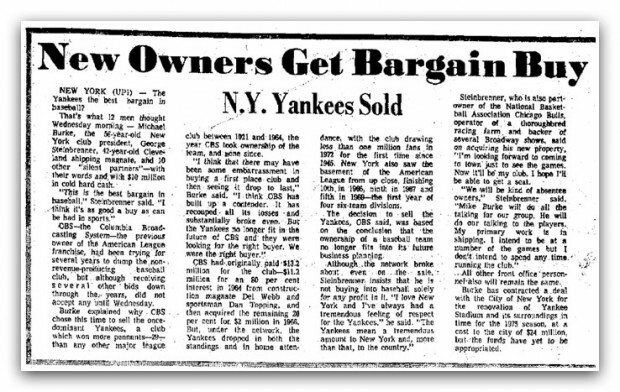 We all know George Steinbrenner was quite brash and outspoken, and according to this article from January 4, 1973, he started off his ownership of the Yankees in the same outspoken manner. After purchasing the club with Michael Burke from CBS for $8.7 million ($3.2 million less than CBS paid for it) with 10 other “silent partners”, the 42-year old said “This is the best bargain in baseball. I think it’s as good a buy as can be had in sports.” Steinbrenner and Burke put up $1 million each and the other $8 million came from the 10 other investors. While it doesn’t seem to be in the best of taste to rub a perceived bargain purchase publicly in the face of the seller, Steinbrenner obviously thought what’s done is done and he was proven ever so right. With Forbes estimating the team to be currently worth $4 and the most valuable team in Major League Baseball, Steinbrenner did make one of the great buys in sports and business history. The value of the franchise has gone up over 230 times, or approximately 14.5% per year. Another great example of the power of compound interest. I guess this is one of those examples of where it’s better to pay attention to what people do versus what they say. I wonder what Reggie Jackson or Billy Martin would have thought of Steinbrenner’s stated intention to be a hands-off owner. $3.9 billion of value increase later, I think the enterprise was far better off that he didn’t do what he said and took a very active roll in running the club. 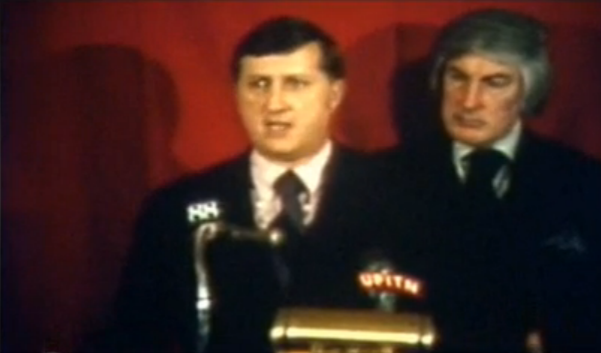 What would George Steinbrenner think of his team today?